My blog will be two parts, the first being transit reviews. When I'm able to take public transportation, I'll write a blog post about my ride. These posts may not happen often since I don't get the chance to ride transit as much as I'd like. When I do, the agencies that I'll most likely be riding are: Jacksonville Transportation Authority (JTA - Jacksonville, FL), Votran (Volusia County, FL - Daytona Beach area), Central Florida Regional Transportation Authority (LYNX - Orlando-metro area), and Central Florida Commuter Rail (SunRail - Orlando-metro area). I'll also post reviews of other systems that I'm able to ride on when I take trips. 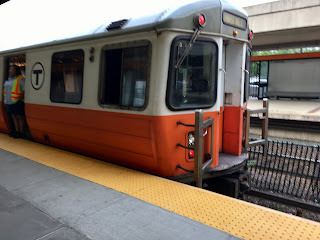 The second part of my blog will be advocating for public transportation. To give a little background, I'll explain the current situation in Central Florida. For the Orlando-metro area we have three systems - Votran, LYNX, and SunRail. Votran only operates in Volusia County, which is the northern part of the Orlando-metro, it also serves Daytona Beach and the surrounding beach communities. LYNX is the bus transit option for Seminole, Orange and Osceola Counties (the main three counties of the metro). SunRail serves Volusia, Seminole, and Orange Counties (with an expansion currently underway to expand into Osceola County). All three systems have their pluses, but with that said, they all have their minuses (and in some cases, a lot). So I'd like to use my knowledge of the systems to hopefully try and work towards better options for the region. To conclude this first blog post, I'd like to say Welcome Aboard! 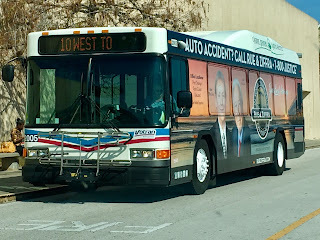 and please continue to follow my blog as we ride transportation and do our part to make transit better!